It’s been non-stop for Minneapolis’ Poliça since the 2012 release of their debut album Give You The Ghost – relentless touring in North America, an afternoon spot at Coachella, a trip across the pond to Europe, managing to write and record Shulamith somewhere in between, and hitting the road to do it all over again. Since we saw them last, Poliça’s show evolved from reserved minimalism to a more relaxed place of experimentation trying out interesting visuals (including a giant replica of the Shulamith album cover…unpixelated), lighting effects, and fog – lots and lots of fog. 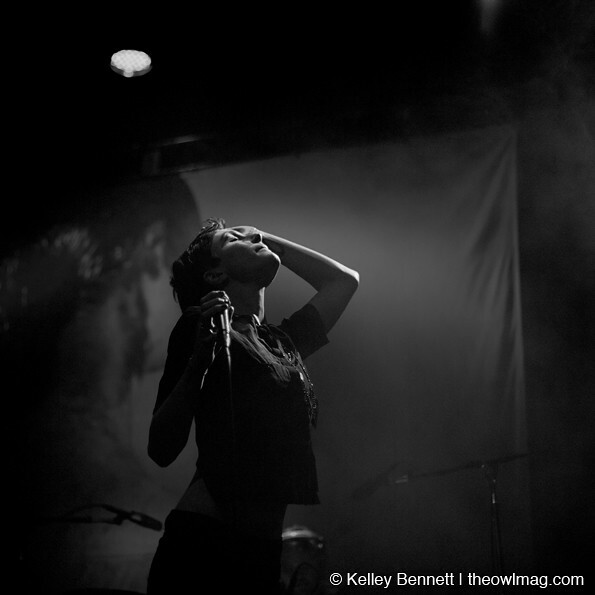 Poliça is a band that is underappreciated by listeners who never see them in-person. Their albums are unintentionally dominated by Ryan Olson’s catchy beats that push their way into the foreground to the point where other intricate sonic details get lost or overlooked. But occupying the same space as Poliça for the duration of their set delivered a jarring blow to our perception of Give You The Ghost and Shulamith as those downplayed album details stole the show and caught us with our mouth wide open in awe on multiple occasions. Channy Leaneagh’s vocals embodied edgy feminine chic on “Warrior Lord,” not a danceable number per se, but the easy cadence got the crowd into a gentle sway. 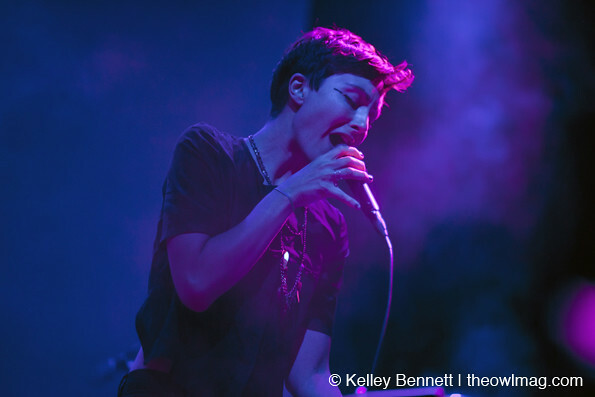 Though characteristically her vocal delivery is not particularly booming or boastful, Leaneagh exuded a quiet confidence on stage as she swayed and danced to “Chain My Name” and “Dark Star,” an attribute that has blossomed since Poliça’s last tour. If you are a fan of Poliça’s album sound, try your utmost to catch them live before their US tour comes to an end in December. Seeing them in-person will shatter all your previous perceptions of Give You The Ghost and Shulamith and will make you appreciate Poliça in a deeper way. 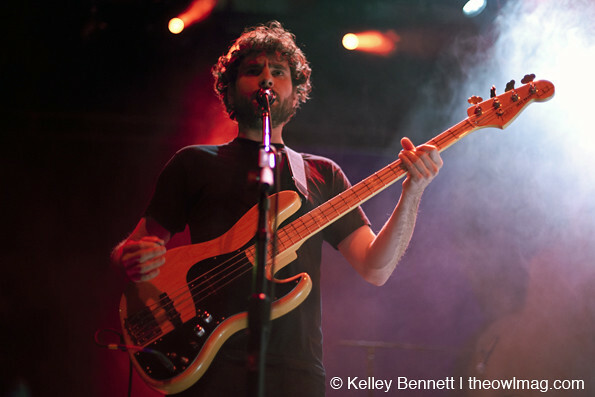 See more photos of Poliça getting experimental HERE!